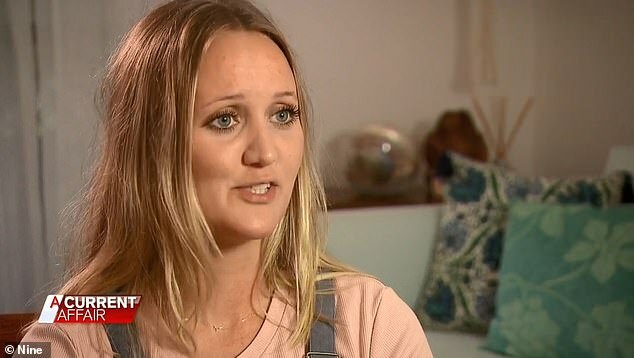 An Australian citizen and army major is begging authorities to let his 29-year-old British daughter to stay in Australia while he fights a terminal cancer diagnosis. Arthur Hall, 57, has called Australia home for more than a decade after he was offered a job to serve in the national army. 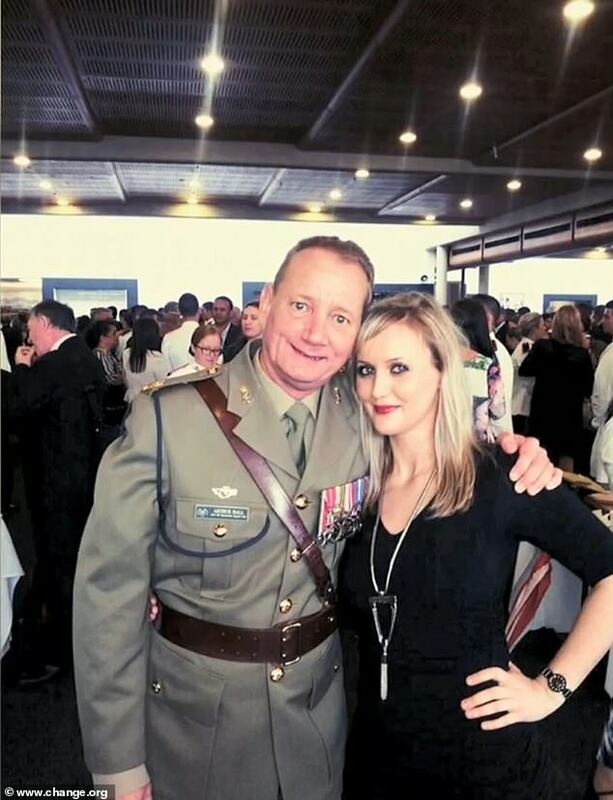 But the decorated war veteran, who has been diagnosed with incurable bone cancer, is battling with the Australian government to let his daughter, Jennifer, stay. 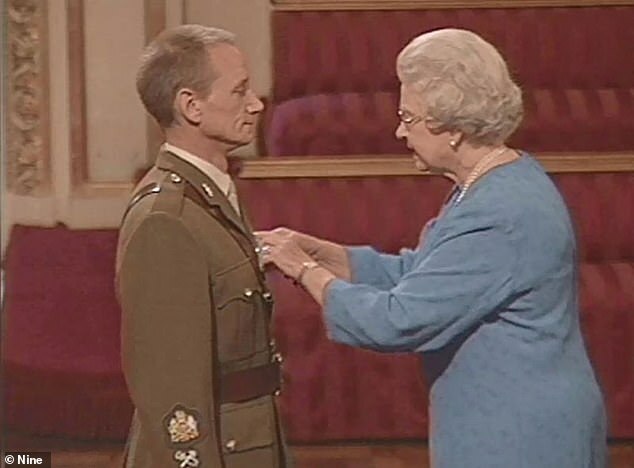 Mr Hall, who was awarded a Member of the Order of the British Empire from the Queen, spent 22 years serving for the UK armed forces before moving to Australia. The Australian Army called him explaining they needed aircraft engineers after they learnt he was leaving the British Army. Mr Hall decided it was ‘time to do the call of duty again’ and moved to Australia with his then 13-year-old son Sam – who has since followed in his footsteps by serving in the army. The father-and-son quickly received Australian citizenship while his then 16-year-old daughter Jennifer stayed in the UK to complete her studies. After completing her education and becoming a qualified dental nurse, Jennifer decided she wanted to be in Australia with her brother and father. 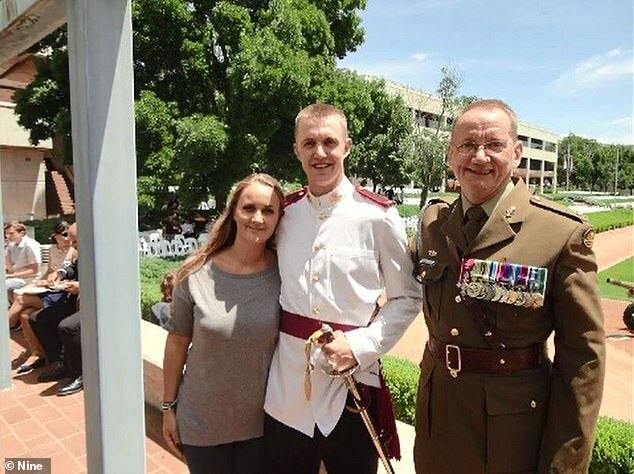 ‘I came to Australia in January 2015 on a Subclass 417 Working Holiday Visa to reunite with my father and brother, both of whom are Australian citizens, serving in the Australian Regular Army,’ Jennifer wrote on Change.org. To stay in Australia, Jennifer began studying at the Canberra Institute of Technology on a Subclass 500 Student Visa in February 2017. She completed a Certificate III in Business, Certificate III in Accounts Administration and a Certificate IV in Accounting, which she claims allowed her to further invest in her future as the qualifications are recognised in Australia. Jennifer then applied for permanent residency but her request was declined. ‘In June 2018, I submitted a request for Ministerial Intervention, asking the minister to grant me permanent residency so I could remain in Australia with my family,’ she wrote. The terminal diagnosis of her father has left Jennifer more determined than ever to become an Australian resident. ‘I would be the proudest person ever to be able to say, I’m an Australian,’ Jennifer told A Current Affair. Mr Hall said he felt he was having ‘everything taken away’ and wants nothing more than to have his daughter with him in Australia. ‘I’m 57 years old now. It’d mean more to me to have my daughter get her residency than for them to say to me, ”we’ve got a cure”,’ he said. The family have launched a Change.org petition to rally support for Jennifer to stay in Australia. The petition has a goal of 10,000 signatures and has already tallied more than 8,500.